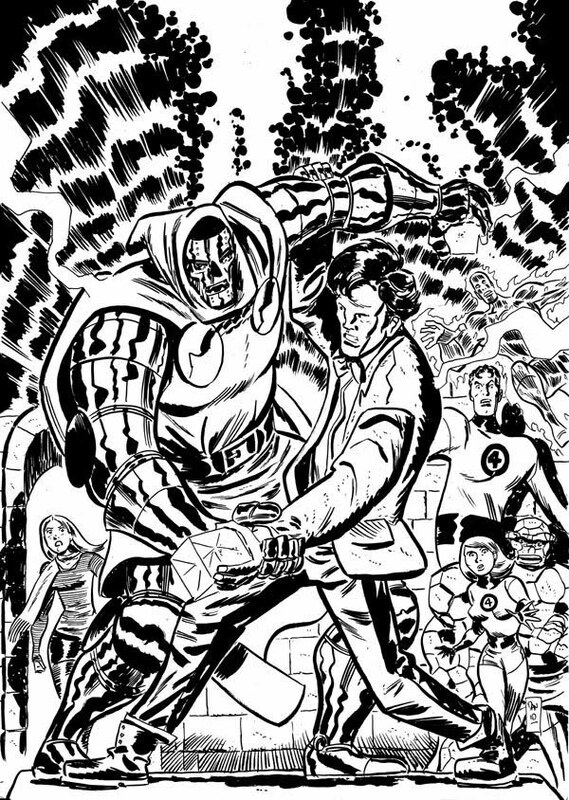 The Eleventh Doctor locked in a life or death struggle with Doctor Doom as the Fantastic Four and Amy Pond look on helplessly! Here is the inked version before coloring. I couldn’t resist posting this insanely awesome picture here! Drawing by Dan McDaid with colors by Dean Trippe. Found via HeroPress.net. Doom crushes the Doctor easily. “Foolish alien… Doom’s power is absolute!” The Doctor winds up chained to the floor in one of Doom’s dungeons, his TARDIS disassembled, and all of his technology paperclipped by Doom. At least until Iron Man busts him out. 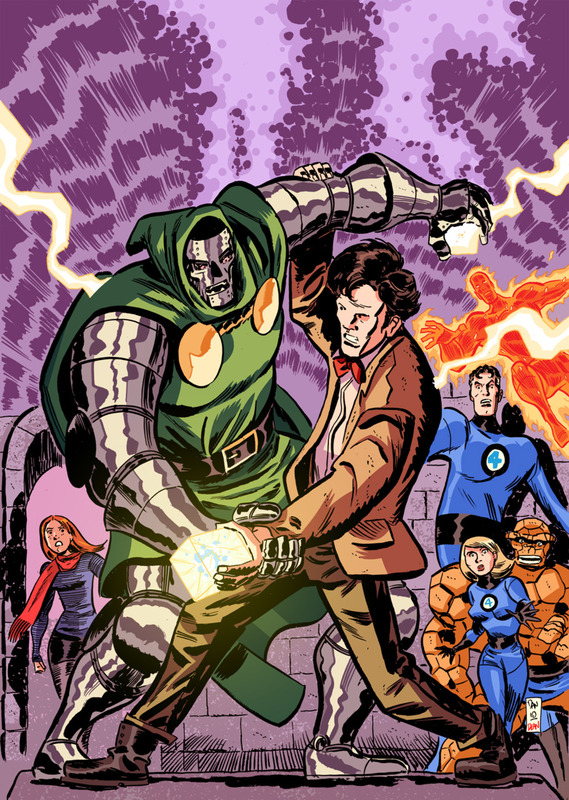 Dr. Doom would crush Dr. Who. Just sayin’. No, no, no. Remember when Reed caused Doom to hallucinate that he had won, so Doom gloated and sauntered out? The Doctor would do something like that.